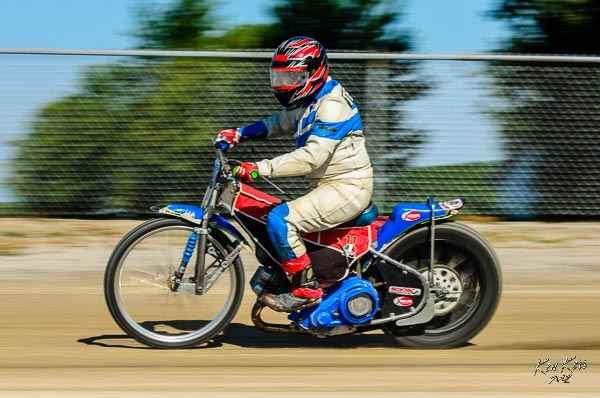 Dan Weicht came out on top at the Speedway Long Track National Championship for the second time in as many years, Friday July 20, 2012 at the Fulton County Fairgrounds in Wauseon, Ohio. 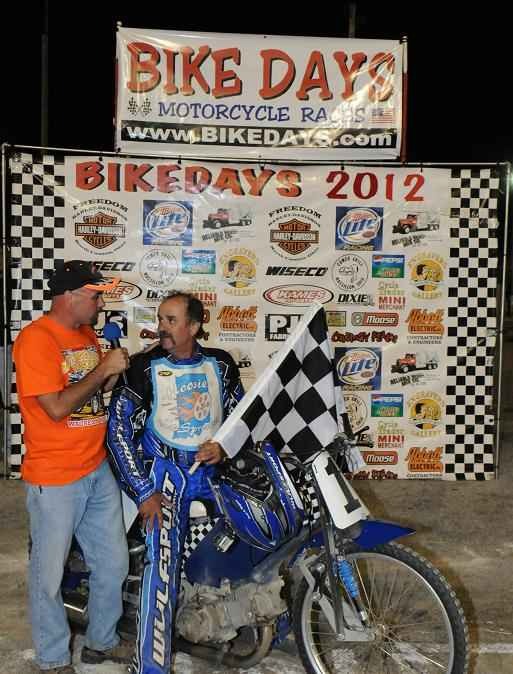 Dan Weicht being interviewed by Bob Sigler after he won the 2012 Speedway Long Track National Championship in Wauseon. The Long Track National was organized by Scotty Brown of the Bike Days Motorcycle Club www.bikedays.com and was sponsored by Applied Innovations, PJ's Fabricating, Spectro Oils, and Wiseco Piston. 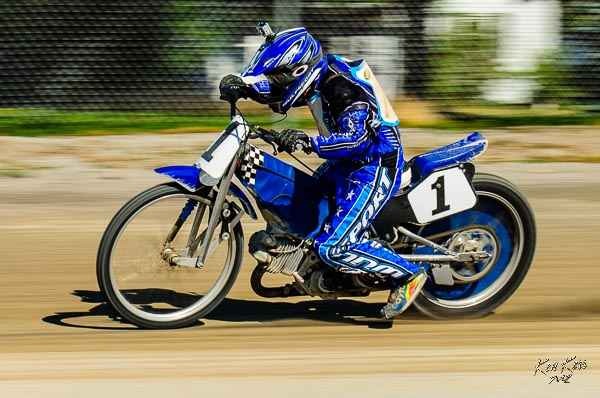 The championship ran in conjunction with the Classic Flat Track National Championship series during the 30th annual AMCA Wauseon National. 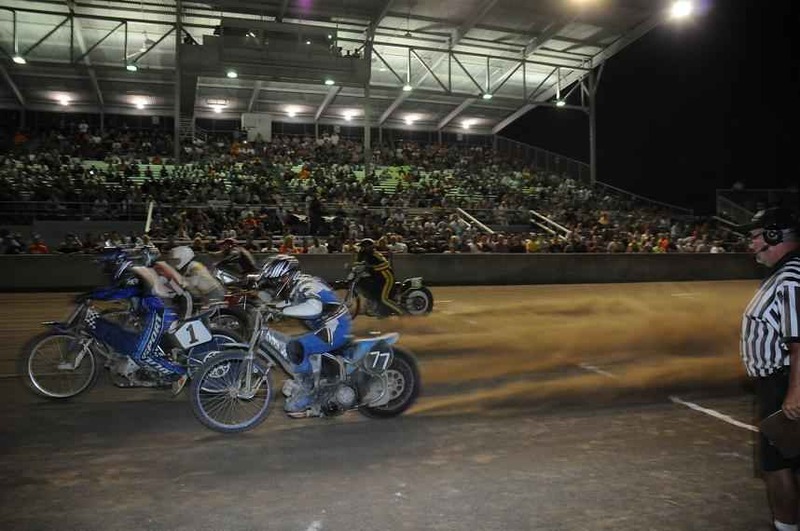 It had been an unusual hot and dry summer in Northwestern Ohio, but Mother Nature provided a cool race day and plenty of rain the night before to keep the half- mile limestone cushion track in perfect condition for the Championship. 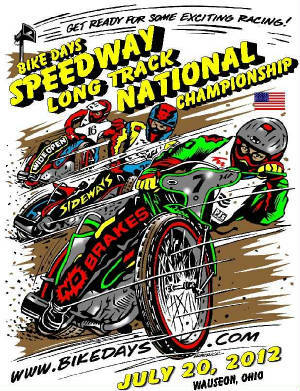 North Americas' finest Long Track Riders assembled in Wauseon for the Championship, and Donnie Bargmann and Bob Sigler were the announcers on hand to call the action. Steve Brinker won the first heat race of the night and finished a respectable 4th in the National final. In the first heat race #32 Steve Brinker started from gate 2 and won the race. Chad Rall stared from the pole, laid it down at the apex of turn one and two, and came back to finish second. #77 Jon Massie started on the outside and finished third. John Debats started the night out strong with a win in his first heat race and went on to finished 2nd overall in the National. 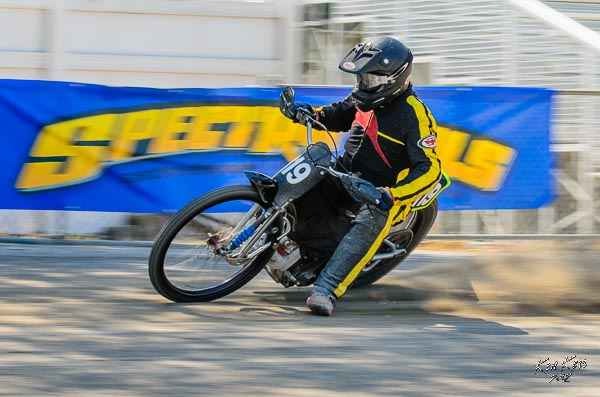 John Debats got the hole shot from gate two in heat race 2 and won from wire to wire. #1 Dan Weight came from the pole to finish second with Veteran Ronnie Rall in third and Jim Terchila fourth. 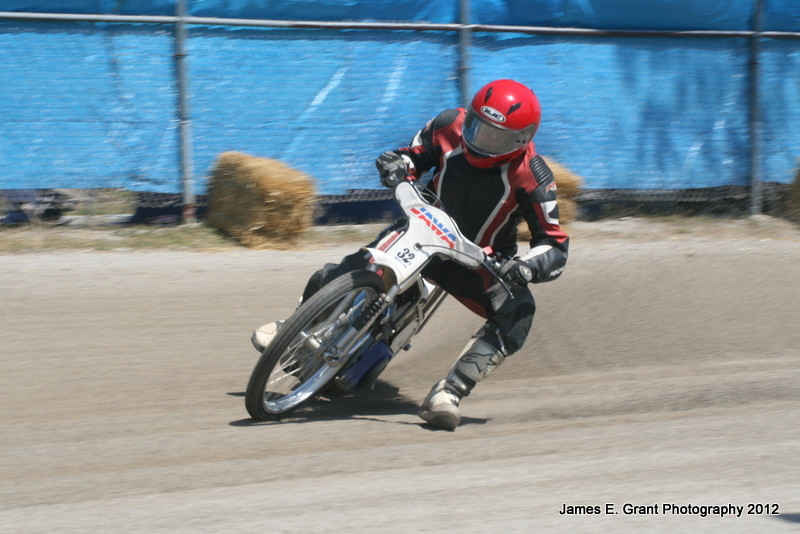 The 2012 National Long Track format consisted of two rounds of point gathering heats, a last chance qualifier, and an "A and B" Main. 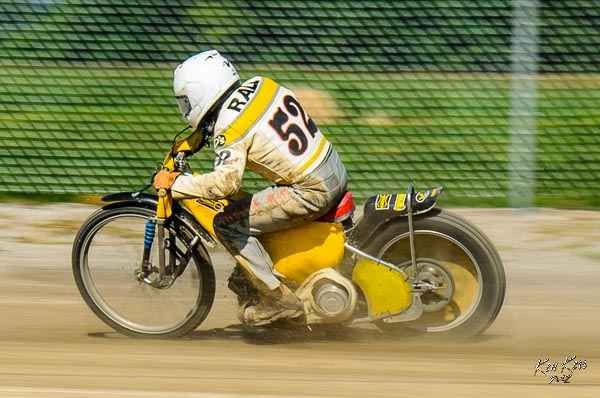 The 2011 & 2012 Speedway Long Track National Champion Dan Weicht on the cam. In heat race 3, #1 Dan Weicht started from gate 4 and won the race from start to finish. John Debats came from the two spot to finish second, and #32 Steve Brinker came in third starting from the pole. The" Legend" Ronnie Rall rode well all night and finished second in the B main. Heat race 4 saw #82 Chris Hathaway start from the pole and win the race from flag to flag. #119 Alan Rush came from gate three to finish second. #52 Ronnie Rall came from gate five to finish third, with #11 Jim Terchilla in fourth. Alan Rush from Speedway Indiana finished 2nd in the LCQ which earned him a spot in the A main. 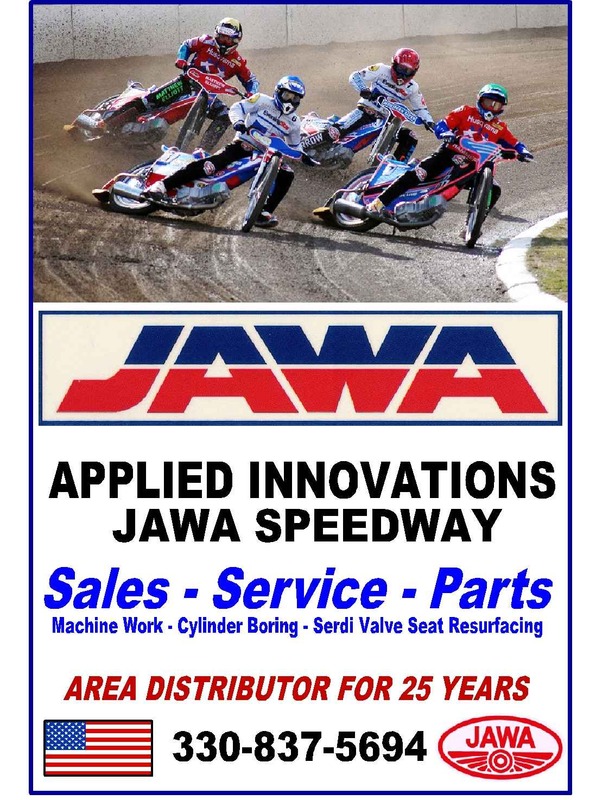 Jim Terchila from Indianapolis, promotes Mid America Speedway and put in a strong showing at the Wauseon National . The total heat race points are tabulated, transferring the top four riders to the "A" Main leaving two positions open for the top two finishers from the Last Chance Qualifier. The remaining riders go to the "B" Main. Chad Rall laid it down in his first heat, came back to win the LCQ, and went on to finish 3rd in the National Championship. Chad Rall won the Last Chance Qualifier with Alan Rush in second. Chris Hathaway put in a good effort finishing third. Chris Hathaway had a good night and won the B main for the second year in a row. Chris Hathaway made the gate in the B Main and led the entire race with Ronnie Rall finishing second and Jim Terchila from Indiana third. #52x Chad Rall, #32 Steve Brinker and on the outside #119 Alan Rush. 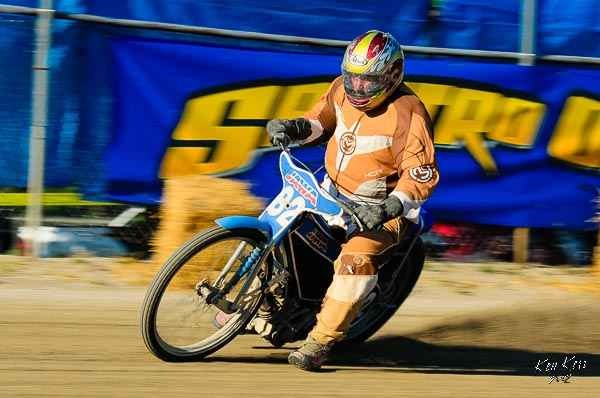 The current 2011Speedway Long Track National Champion Dan Weicht (Indiana) sat on the pole prepared to defend the title. The 2007 Ohio State Long Track Champion John Debats (Michigan) occupied gate 2. Steve Brinker (Illinios) who has been consistently making better finishes chose gate 3. Jon Massie (Ohio) settled in at gate 4 and said he liked the mid to lower part of the track for starting position. The 2007, 2008, and 2011 Speedway Long Track National runner up Chad Rall (Ohio) was in gate 5. Allan Rush from Speedway, Indiana rolled into the outside spot. The stage was set, the players on there mark, and in a matter of 4 laps the 2012 Champion would be proclaimed. The green light flashed and it was Weicht on the Gatewood Engineering and Race Support Jawa with the early advantage, with Debats in close pursuit. Rall trailed in third followed by Brinker, and Massie respectively as Rush's chance ended early with a DNF after the first lap. 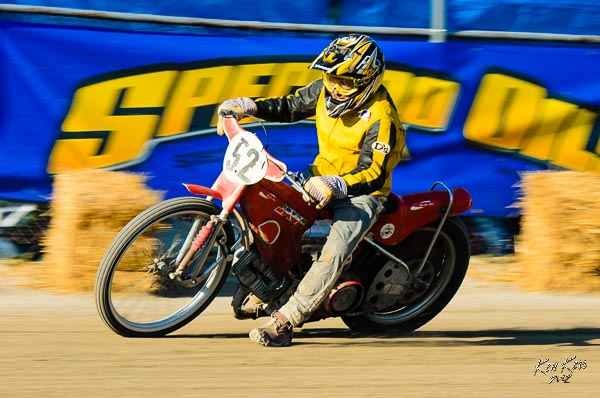 Debats charged hard but couldn't close the deal and Dan Weicht won the Speedway Long Track National Championship for the second time in a row. Can Weicht three-peet in 2013? 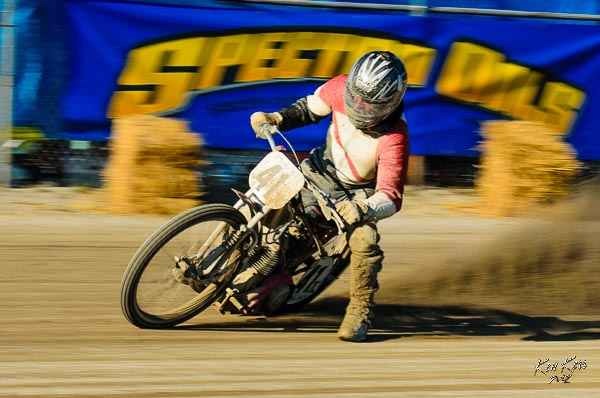 Mark your calendars for July 19th 2013 to see the Speedway Long Track National Championship combined with a great night of Antique Motorcycle racing at the 31st annual AMCA Wauseon National at the Fulton County Fairgrounds next year in Wauseon, Ohio.